Description: Creepy old burnt out house damaged by large fire. 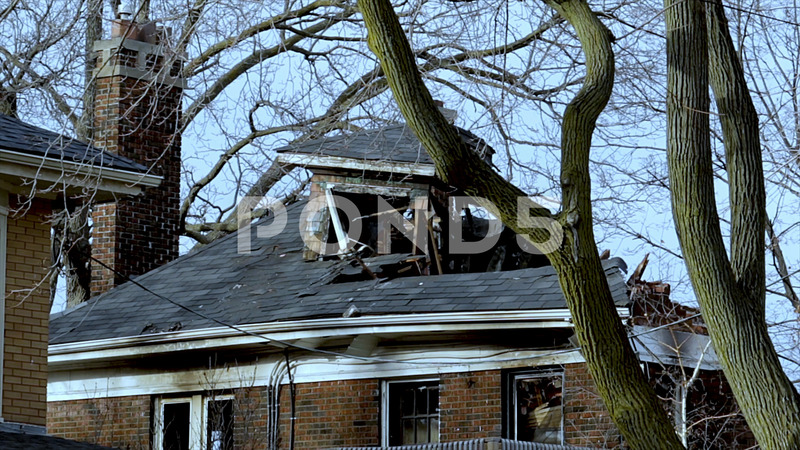 Abandoned house barely standing due to arson. Crumbling walls and roof of a vacant home.